Do you prioritize keeping a warm and cozy home in the winter? If you do, Lakeside Exteriors is right there with you! Winter months can result in drafty homes and high electricity bills if you don’t know the best ways to keep that precious heat inside your walls. Rather than bundle up inside your home, utilize these tips to help keep you nice and warm this winter. And as a bonus, you might just reduce your energy costs along the way. Beginning with the home’s exterior, windows can be a source of great heat loss, especially if they are old, broken, or cracked. Make sure that the frames are properly caulked and insulated. 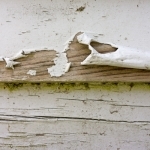 Replace any old or peeling caulk. If your window is beyond the point of sealing or you simply want better windows, consider installing energy-efficient windows. Energy-efficient windows contain greater insulation, which means they will trap warm air inside your home and keep cold air outside. The same can be done for your doors. Doors play a big role in energy loss, so upgrading to more energy-efficient ones (for all doors that contact the exterior) can keep you warmer and save you money this winter. This tip is easy and affordable for every type of homeowner, and it is also a problem every homeowner faces. Even though your doors close, they have small gaps between the door and its frame. This can allow that wonderfully heated air to escape to your home’s exterior! To avoid this, you can add weather stripping around the door. (Oftentimes, this can also be done around leaky windows.) There are many types of weather stripping, from felt to foam to metal and more. Do your research and compare the options to choose the right weather stripping for your project. 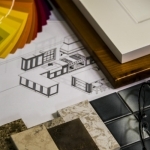 Insulation is an obvious home feature relating to warmth, yet it is often overlooked. You may think it is a one-and-done item, meaning it is installed in your home and that’s it; you’re good to go. However, uninsulated and under-insulated walls are the greatest source of heat loss for your home, contributing to roughly 35% of all heat loss. Adding insulation is a great way to keep your home nice and cozy this winter. The two main areas of insulation are within your walls and in your attic. Wall insulation can have the greatest energy impact; however, adding this insulation can be rather inconvenient, as you must create a hole in the drywall or siding to complete this project. If you are redoing the exterior siding or interior drywall of your home, it is a convenient time to add insulation in your walls. But unless you are completing these projects, adding wall insulation can be a more difficult job. Adding attic insulation, however, is easy. Heat rises, which means that cozy air in your home is headed for your attic to escape through your roof. While it’s a rather affordable energy-efficient project, attic insulation can have a surprisingly large impact on the comfort level of your home and your energy bill. An often-overlooked item is your furnace — that is, unless it goes out in the dead of winter. To prevent this from occurring, you should have a furnace tune-up and inspection completed by a professional. This will help it run smoothly through those cold months, and an annual tune-up will extend the life of your furnace. Have a professional inspect and perform any necessary repairs as well as run a carbon monoxide test. Periodically replace the filters in your furnace, since they get dirty. Do this especially before winter to help your furnace run at its maximum efficiency while also keeping your air clean and your home warm. If you have an old, outdated thermostat, consider replacing it with a programmable one. These modern, efficient thermostats allow you to program your heating system to specific temperatures, so you never forget to lower or increase heat. While you are away from home, you can schedule your thermostat to decrease the temperature, and then bring it back to your perfect zone right before you make it home from work. This will help lower unnecessary heating bills while also keeping you perfectly cozy all winter long. And the great part is, you never have to worry about forgetting to adjust the temperature yourself! This may sound counterproductive, but reversing your ceiling fans actually warms up a space. As the warm air in your room rises toward the ceiling, the reversed movement of the fan pushes it back toward the lower portion of the room, utilizing heat that is already present. Most fans have switches that change their directions. Therefore, this project is a simple as a flick of your finger. It’s true that warming your entire house with a space heater is far less comfortable and far more expensive than using your furnace. But the strategic use of space heaters can be a money saver. If you keep to one or two rooms in your home, opt for a space heater to warm only those spaces rather than central air to heat the whole home. Just be sure to keep all flammable materials a safe distance from the heaters, as they can be a fire hazard. If your home is not living up to its energy potential, our Lakeside Exteriors team can help. Our certified team of craftsmen is ready to tackle any of your home exterior needs, from energy-efficient windows and doors to new siding. Contact us for a free consultation to discover which projects can help keep your home cozy this winter.